Ex-GWR 14xx Class 1450 is set to run to Eardington Halt on the Severn Valley Railway, 17th April 2015. The station is located south of Bridgnorth, but due to its’ remote location, short platform and being on a 1 in 100 gradient, the station was removed from the preserved railway’s timetable in 1982. The already fully booked services are being run to raise funds for the construction of a brand new BR Standard 3MT 2-6-2T, to be numbered 82045. The 3MT tank engine is one of the more pragmatic new-build projects. The lost class would have been ideal locomotives for preserved lines – economical and yet powerful for most steam heritage services, with the added benefit of being a tank engine and therefore much more comfortable than a tender working backwards. 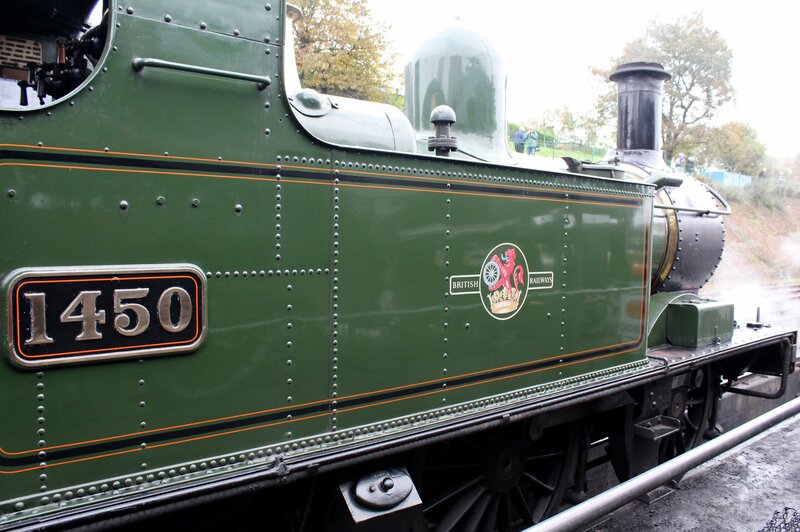 The project recognises that even the original BR Standard class locomotives preserved on today’s line getting older and less reliable, so new build 3MT’s could help reduce the burden on increasingly elderly steam engines. Check out www.82045.org.uk to learn more. 13/04/2015 in News - Preserved Railway, Severn Valley Railway. ← GNR Single Ready To Run Model in 00 Scale!